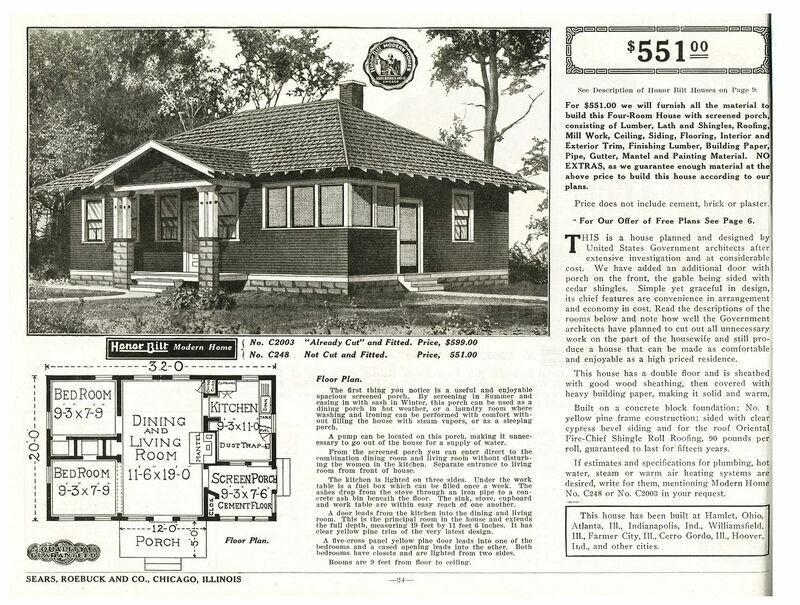 The Sears Wabash: Economical and Popular! I’m not sure when The Wabash first appeared, but I found it in my 1916 catalog (and not the 1914 catalog). In 1916, it was a mere $551, and in 1920, it had gone up to $966 . If this really was “Uncle Sam’s Idea” (as the literature suggests), it may have been created as an answer to the problem of the building material shortage during The Great War (also known as “The European War”). 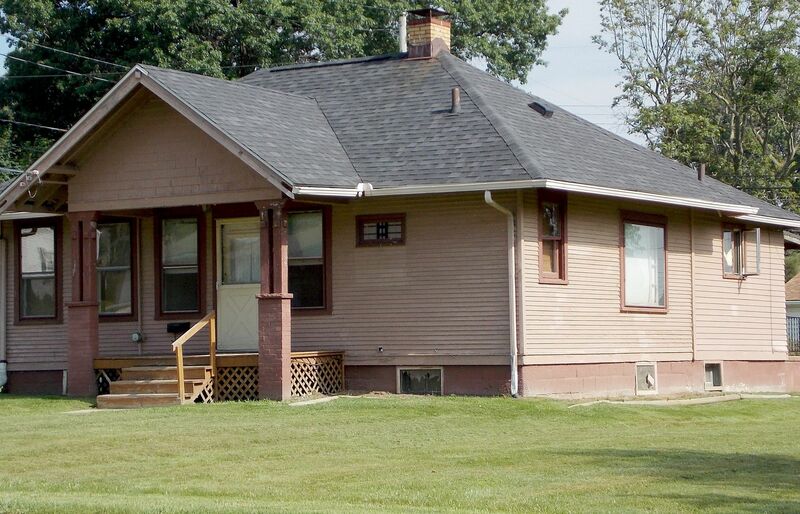 It’s an interesting house, and this is the second one that’s been found in Ohio. According to the testimonials, there were several of these sold throughout the Midwest. Thanks so much to Robb Hyde for finding and photographing this kit home. In 1916, the Wabash was offered for $551. 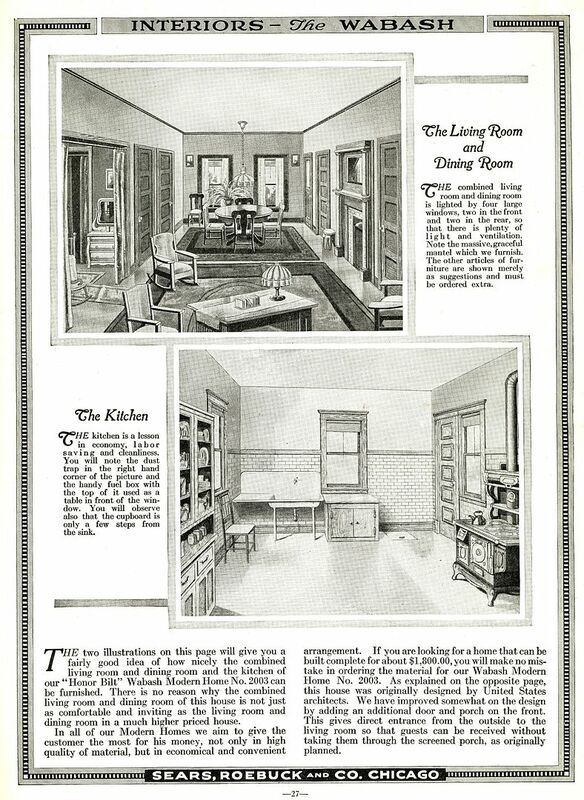 It has two wee tiny bedrooms, and yet a massive living room (1920). Apparently it was really popular in the Midwest. 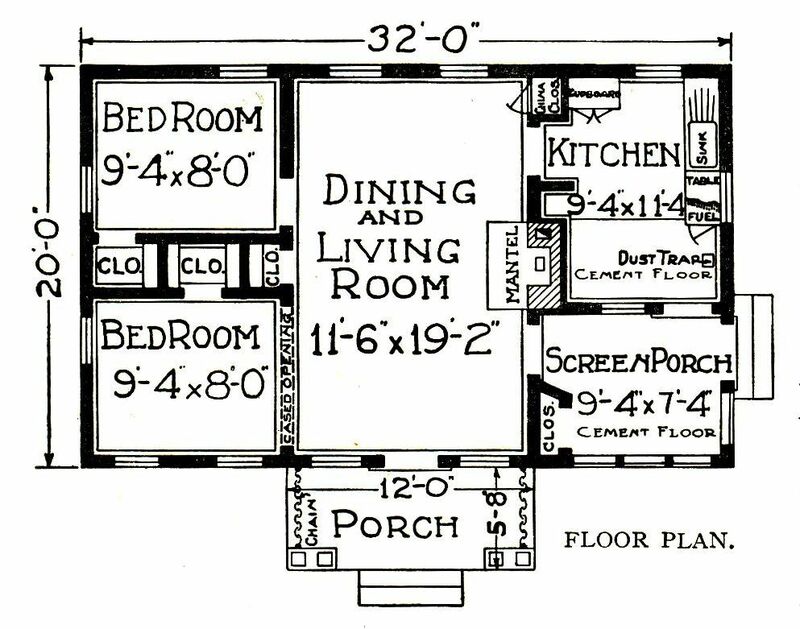 That kitchen looks a lot bigger than 9x11 (1920). 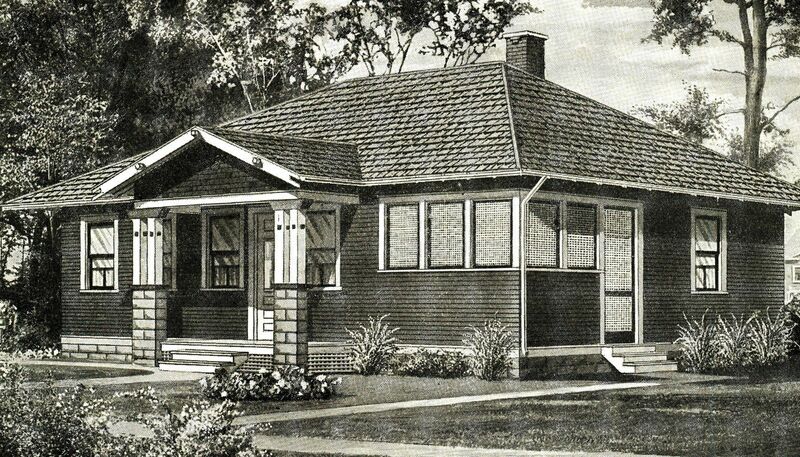 "The Wabash," complete with screened porch (1920). Here's the Wabash that Robb Hyde found in Alliance, Ohio. At some point, the "sunporch" was converted into enclosed living space. With two bedrooms measuring 8x9, I'm sure the home's occupants were fairly desperate for every bit of living space they could get! Photo is copyright 2015 Robb Hyde and may not be used or reproduced without written permission. 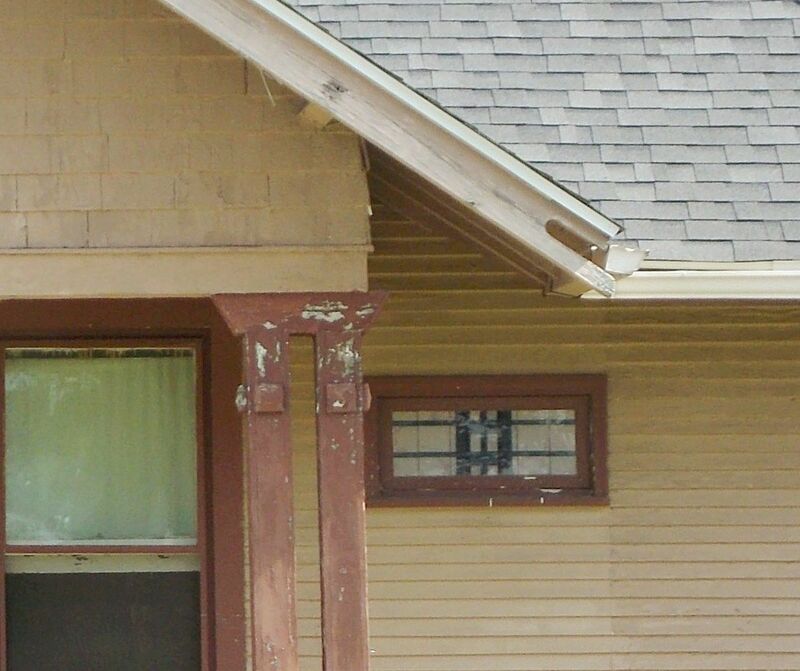 Note the original columns, siding and verge board. Photo is copyright 2015 Robb Hyde and may not be used or reproduced without written permission. Nice shot of the home's front, which highlights the unusual window arrangement. 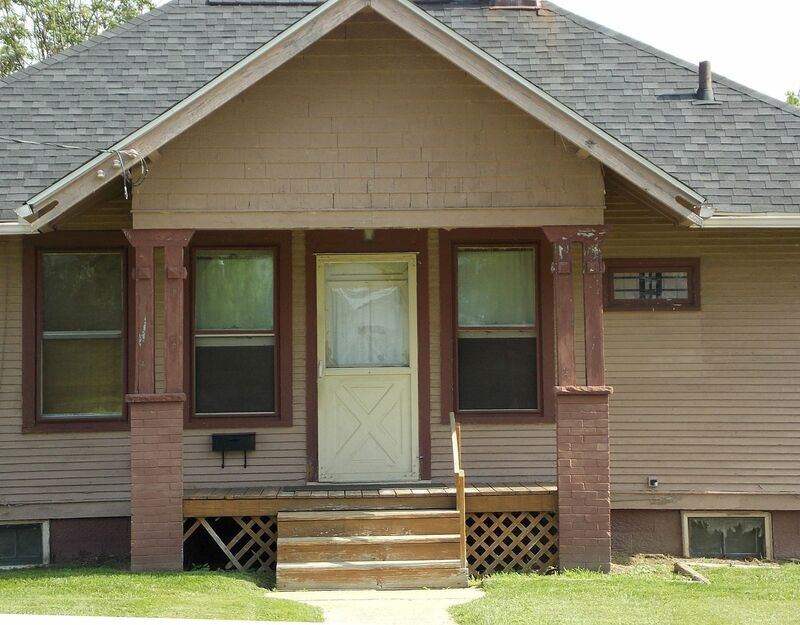 Porch deck is new, but everything else appears to be original. 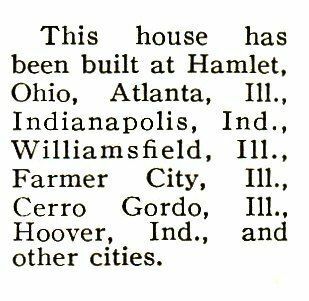 Given that this house is nearly 100 years old, that's darn impressive. Photo is copyright 2015 Robb Hyde and may not be used or reproduced without written permission. And Robb had the foresight to get some photos of the other side, too! Photo is copyright 2015 Robb Hyde and may not be used or reproduced without written permission. 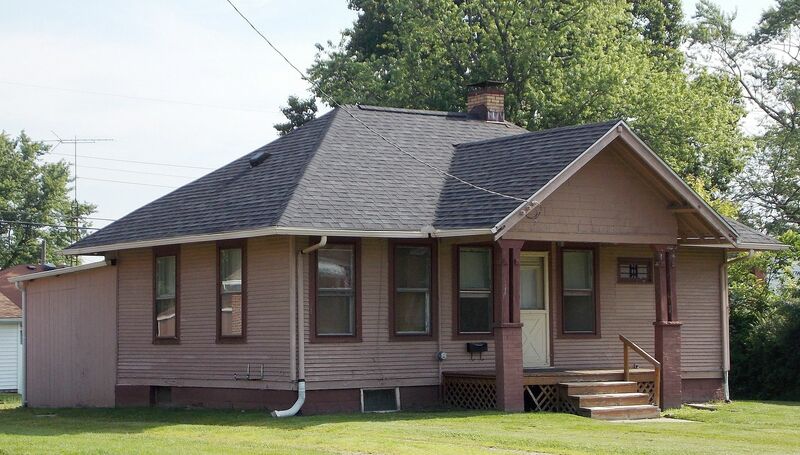 To read about the Sears Wabash that Donna Bakke found in Ohio, click here.